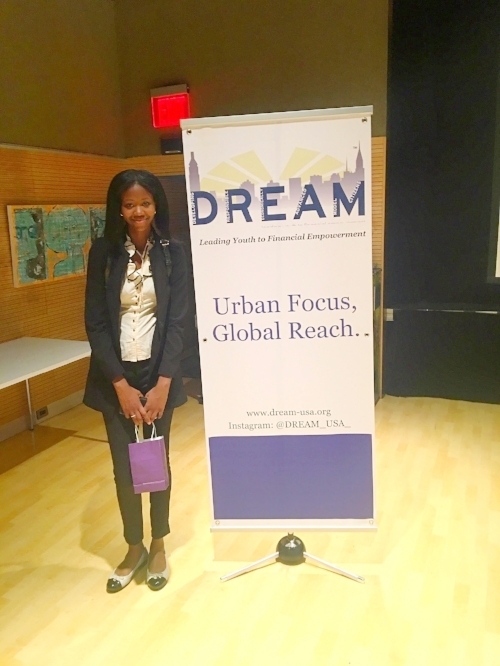 Invest-in-Success 2017 Annual Competition Recap — D.R.E.A.M. On Saturday, June 10th, 2017, D.R.E.A.M. hosted its annual end of year showcase for the scholars of the "Invest-in-Success" program. The event was attended by family, friends, school administrators, and supporters as the scholars showcased what they learned over the course of the 2016-2017 programmatic year. The event began with the Invest-in-Success Personal Finance Case Competition for our freshman and sophomore scholars. Teams of 3-5 scholars presented their analysis on how to handle a personal financial portfolio. The case, written and developed by Femi Faoye (CEO), outlined the financial dilemmas that millennials face early in their post collegiate careers. The teams presented to a panel of judges comprised of NYC based working professionals and entrepreneurs. The second half of the event was the Invest-in-Success Biz Plan Competition, an entrepreneurship “Shark Tank” style competition, for our junior scholars. Our venture creation and innovation competition was established in 2012 to encourage innovation and entrepreneurship among New York City teenagers. The competition is designed to give teen entrepreneurs (teenpreneurs) real-world experience to refine business ideas and elevator pitches to generate funding to successfully commercialize their products. As such, most ideas entered in the competition were ideas for new independent ventures in the seed, start-up, or early growth stages. Scholars were tasked with presenting their business plans, granting students the unique opportunity to practice their public-speaking skills, gain professional feedback on their ideas from industry professionals, and potentially receive capital to invest in their businesses. Judges of the competition were asked to rank the pitches based on which company they would most likely invest in. For D.R.E.A.M., the end of year showcase is the highlight of the Invest-in-Success program as the D.R.E.A.M. Team watches students jettison their shy personalities and command the room delivering powerful presentations on concepts that were foreign to them just a few months prior. “Watching students present and tie in key course concepts gives me chills every time. I feel like I am watching the revolution of youth becoming financially savvy in America from a front row seat”, says CEO, Femi Faoye. Please join us in congratulating the winning scholars of the Invest-in-Success Personal Finance Case Competition and the Invest-in-Success Biz Plan Competition!